INDA equals networking. INDA members rank networking opportunities at the top of the list when they talk about membership benefits. INDA events are always fantastic networking opportunities, but INDA members have even more networking options available to them. INDA’s committees and the INDA board of directors are superb networking opportunities and are only open to INDA members. In addition, INDA members enjoy discounts on all INDA conferences and expos. INDA is renowned for its unparalleled educational opportunities. 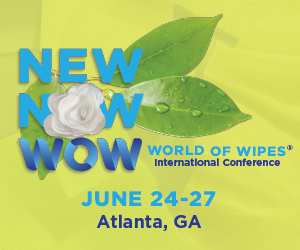 The INDA Nonwovens Course and Elementary Nonwovens Course, as well as handbooks, primers, and videos give you the tools you need to succeed in the world of nonwovens. For INDA members, discounted rates are available on all educational courses and materials. INDA is truly the voice of nonwovens in Washington, D.C. We proactively represent the views of the entire nonwovens value chain regarding the industry’s key issues. From tariffs to free trade to proposed and current legislation, INDA is there to help you and your organization navigate through it all. INDA is the leading information source for nonwovens. INDA market research and trend reports are trusted around the world for their accuracy and reliability. The information provided in the reports helps companies plan and grow their business throughout the world. In addition, INDA publishes global harmonized test methods and flushability guidelines to address the needs of the nonwoven R&D community and other stakeholders. INDA also provides members with sourcing services, job placement assistance, consultation on matters of importance and discounts on all INDA publications. All of this and more makes INDA the organization to turn to for your information needs. Join INDA today! Contact Morris Collins, Director of Member Relations, at +1 919 459 3714, or e-mail mcollins@inda.org, to join or ask for more information.